Something to Say: "The faster your codebase grows, the less of it people will understand. When people don't understand all of the code, they don't see global patterns, and so they will reinvent little wheels all over the place. In theory, the development leads and the architects are supposed to watch out for these issues, but there are always places where redundant code can hide, and as the code continues to grow, even this watchdog function breaks down. Soon you have people who are intimately familiar with only a couple of modules in the system, and so replication across modules becomes difficult to spot. As the line-count continues to rise, the percentage of the code that each person really knows decreases, compounding the problem. Welcome to exponential code growth." I just stumbled on this; this is really useful if you build software that emits or needs to work with RSS and Atom. It's a feed validator. "This is an example blog to illustrate what a fully semantic weblog could look like. Instead of using RSS or Atom content for the feed, I show here how one can create a very powerful, flexible and easy to understand system based on Semantic Web Triples, presented for clarity in N3 format and backed up by an OWL ontology." Mark, what are your thoughts on this? 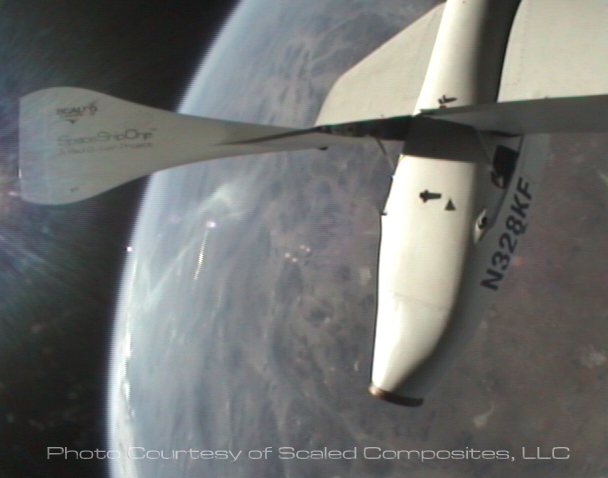 Repeats the launch with the same ship within two weeks"
Scaled Composites, financed by Microsoft co-founder Paul Allen, will be making an attempt for the X Prize September 29th. We expect this event will draw thousands of people from all over the world and are now recruiting volunteers to take part in the event. If you are interested in being a part of one of the most historical flights of aviation history, please click here to join our volunteer list. I already volunteered and will be on the Media Team. My dad is going to fly up and we are going to drive together to Mojave, CA from San Francisco; it's only a 6 hour drive. I haven't driven a car in ten years; I've lived in cities that didn't need them, like New York City and San Francisco. I briefly drove a car for two days a few years ago in my home town of McAllen, Texas, and promptly got into a small fender bender. I also drove a scooter in Thailand for a few months, on the right-side of the road on very scary roads; the last time I did that I was with my brother and he got in a small wreck. So I've been scared to drive again, but I need to so I can get out of the city on the weekends and explore the country-side. Yesterday I drove a rent car for the first time in several years from up in the Marin Headlands back to San Francisco. Score a small victory. Yay!